H.C. Walterhoefer was opened in 1900 and our family has been serving the Baltimore area ever since. The current owners – John and Jerry – are the third generation to serve you and your business. 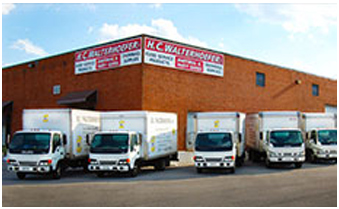 We are very proud that H.C. Walterhoefer is the oldest company of its kind in Maryland. We have survived many ups and downs, including a fire and the riots of 1968. We will keep going strong for you, your family, and your business. Support our locally-owned and operated business today. We look forward to helping you! We have over 5,000 products that can fit any of your current and future needs. There is no buying committee when you want something special. Just ask us for it and we will do our best to get it for you. Our store has everything you need! Stop by today to get supplies for your next party event, all your restaurant needs, and the best cleaning products at the best prices.